Queen of The Sun: What Are the Bees Telling Us? explores the causes and solutions behind Colony Collapse Disorder, a phenomenon where honeybees vanish from their hives, never to return. The documentary film follows the voices and visions of underrepresented beekeepers, philosophers, and scientists around the world, all struggling for the survival of the bees. Learn more about the film at QueenoftheSun.com. You can support the film by following them on twitter @honeybeefilm and join their facebook group. Bees are losing habitat all around the world due to intensive monoculture-based farming practices, pristine green (but flower-barren) sprawling suburban lawns and from the destruction of native landscapes. Just planting flowers in your garden, yard, or in a planter will help provide bees with forage. Avoid chemically treating your flowers as chemicals can leach into pollen and negatively affect the bees systems. Plant plenty of the same type of bloom together, bees like volume of forage (a sq. yard is a good estimate).Here are a few examples of good plant varieties: Spring – lilacs, penstemon, lavender, sage, verbena, and wisteria. Summer – Mint, cosmos, squash, tomatoes, pumpkins, sunflowers, oregano, rosemary, poppies, black-eyed Susan, passion flower vine, honeysuckle. Fall – Fuschia, mint, bush sunflower, sage, verbena, toadflax. 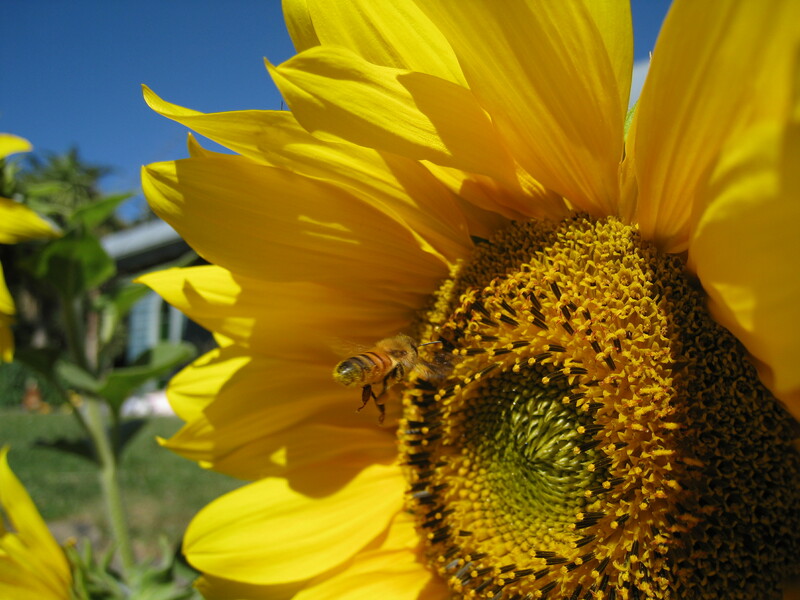 For a great list of plants honeybees love click here. Weeds can be a good thing. Contrary to popular belief, a lawn full of clover and dandelions is not just a good thing—it’s a great thing! A haven for honeybees (and other native pollinators too). Don’t be so nervous about letting your lawn live a little. Wildflowers, many of which we might classify as weeds, are some of the most important food sources for native North American bees. If some of these are “weeds” you chose to get rid of (say you want to pull out that blackberry bush that’s taking over), let it bloom first for the bees and then before it goes to seed, pull it out or trim it back! Don’t use chemicals and pesticides to treat your lawn or garden. Yes, they make your lawn look pristine and pretty, but they’re actually doing the opposite to the life in your biosphere. The chemicals and pest treatments you put on your lawn and garden can cause damange to the honeybees systems. These treatments are especially damaging if applied while the flowers are in bloom as they will get into the pollen and nectar and be taken back to the bee hive where they also get into the honey—which in turn means they can get into us. Pesticides, specifically neo-nicotinoid varieties have been one of the major culprits in Colony Collapse Disorder. Buy local, raw honey. The honey you buy directly sends a message to beekeepers about how they should keep their bees. For this reason, and for your own personal health, strive to buy local, raw honey that is from hives that are not treated by chemicals. It can be hard to find out what is truly “local” and truly “raw”–and even harder yet to find out what is untreated. Here’s a few guidelines: If you find it in the grocery store and it’s imported from China, don’t buy it. There have been a number of cases recently of chemically contaminated honey coming from China. If it’s coming from the grocery store, but it doesn’t say the words “pure” or “raw” and you can’t read in the description that it’s untreated by chemicals, don’t buy it. If it’s untreated, the label will say, as this is an important selling point. We recommend a simple solution for most people. Go to your farmer’s market and shake hands with the beekeepers you meet. There are beekeepers at nearly every farmer’s market selling their honey and other products. Have a conversation with them, find out what they are doing to their hives, and how they are keeping their bees. If they are thoughtful, respectful beekeepers who keep their bees in a sustainable, natural way, then make a new friend and support them! Bees are thirsty. 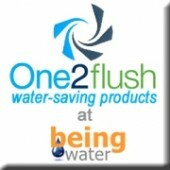 Put a small basin of fresh water outside your home. You may not have known this one—but it’s easy and it’s true! If you have a lot of bees starting to come to your new garden of native plants, wildflowers and flowering herbs, put a little water basin out (a bird bath with some stones in it for them to crawl on does a nice trick). They will appreciate it! Understand that honeybees aren’t out to get you. Honeybees are vegetarians. They want to forage pollen and nectar from flowers up to three miles from their hive and bring that food back to provide food for themselves and the beehive. Contrary to what the media might have us believe, they are not out to sting us. Here are a few tips to avoid getting stung. 1. Stay still and calm if a bee is around you or lands on you. Many bees will land on you and sniff you out. They can smell the pheromones that come with fear and anger it can be a trigger for them to sting you. 2. Don’t stand in front of a hive opening, or a pathway to a concentration of flowers. Bees are busy running back and forth from the hive, and if you don’t get in their way, they won’t be in yours. 3. Learn to differentiate between honeybees and wasps. Honeybees die after they sting humans (but not after they sting other bees! ), wasps do not. Wasps are carnivores, so they like your lunch-meats and soda. Honeybees are vegetarians. For a quick lesson on their differences click here. Share solutions with others in your community. There are so many fun ways to help and be a voice for the bees. Share about the importance of bees at local community meetings, at conferences, in schools and universities, and on on-line message boards and forums. Let them know about QUEEN OF THE SUN and other great media out there that is in support of the honeybee. Let congress know what you think. Change has to happen from the top-down as well as from the bottom-up. Join our newsletter and become a fan on Facebook and Twitter to receive updates and petitions that will affect change on a national and global level. Special thanks to Kate King for letting me know about this film!